I have been referred to Snopes time and time again while researching topics, and it has become blatantly clear to me that much of the information on their website is not information at all it is more like disinformation. Despite this being incredibly obvious, many internet users still regard the site as a credible source. Every time I have visited Snopes website I have noticed many inaccuracies and a lot of false accusations, statements, and assumptions, most of which could be easily proven not to be true. What is behind Snopes? It seems to me like selfish motivation. A simple review of their “fact-checking” reveals a strong tendency to explain away any criticism towards liberal politicians and public figures while criticizing the conservatives. Religious stories and issues are similarly shown no mercy. The mainstream media is quickly losing any credibility with their fawning treatment of President Obama, and Snopes is being singled out, as well as MSNBC and others, as being extremely biased and agenda-motivated. Upon researching for this article I found many people who felt the same way that I did, pointing out times that Snopes lied on an article to push their own agenda. 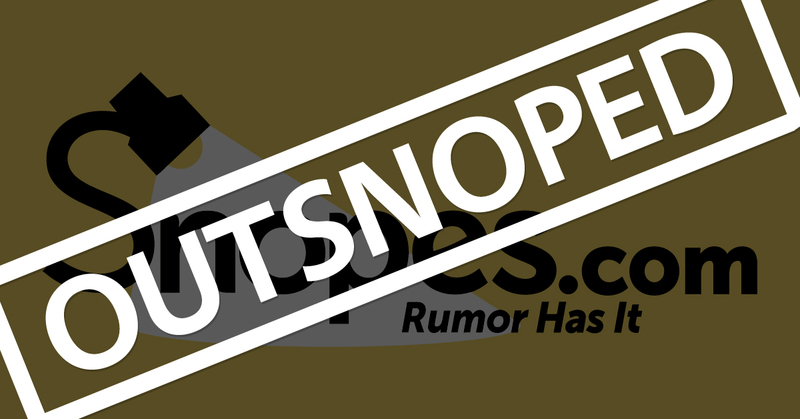 Snopes is not an official or reputable website to use as a source of authentic information. Snopes claim their intention is “not merely to dismiss or confirm misconceptions and rumors but to provide evidence for such debunking’s and confirmation as well.” Despite this claim, the Snopes website is full of badly researched information, false information, misinformation and plenty of disinformation much of which can easily be proven to be inaccurate. Additionally, Snopes will ignore any information you provide in the comments section which counteracts their claims and will not even approve the comments. Does that really sound like a reliable, reputable, official source of genuine information to you? So if you want to know the truth about an article that you read or a rumor that you heard you might want to think twice about going to Snopes for information. It is not a credible news source, and you can always go to Google and do the research yourself. A parody: I looked up this video on Snopes and they said it was a hoax. Proof enough that you should not believe everything that you see on the internet. Again, the following video is a parody.